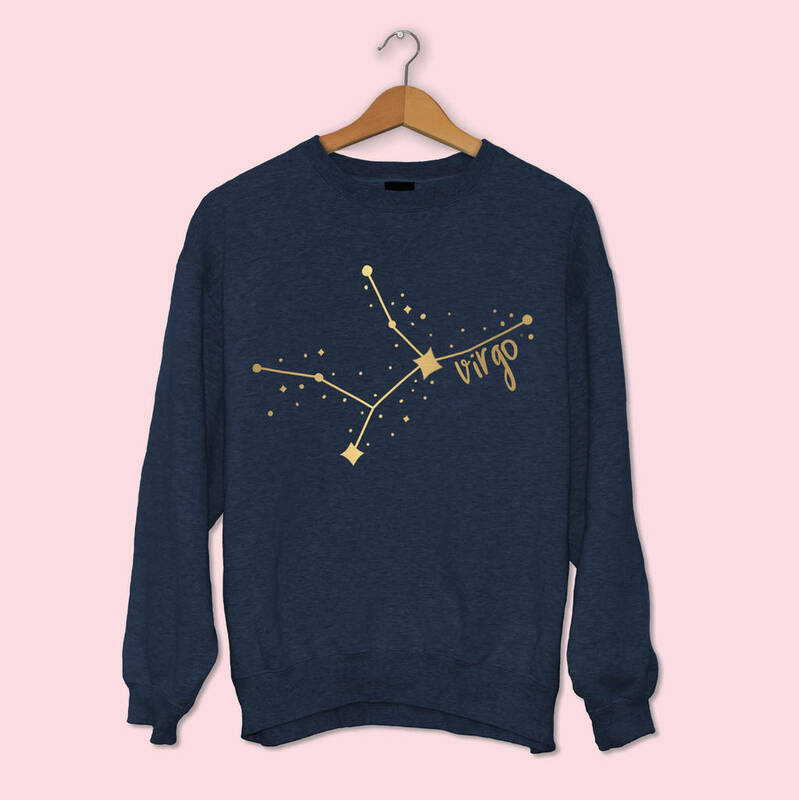 This soft navy sweatshirt can be personliased with any original zodiac drawing, printed in metallic gold foil. All sweatshirts are printed by hand in Sheffield, from original Elsie & Nell designs. 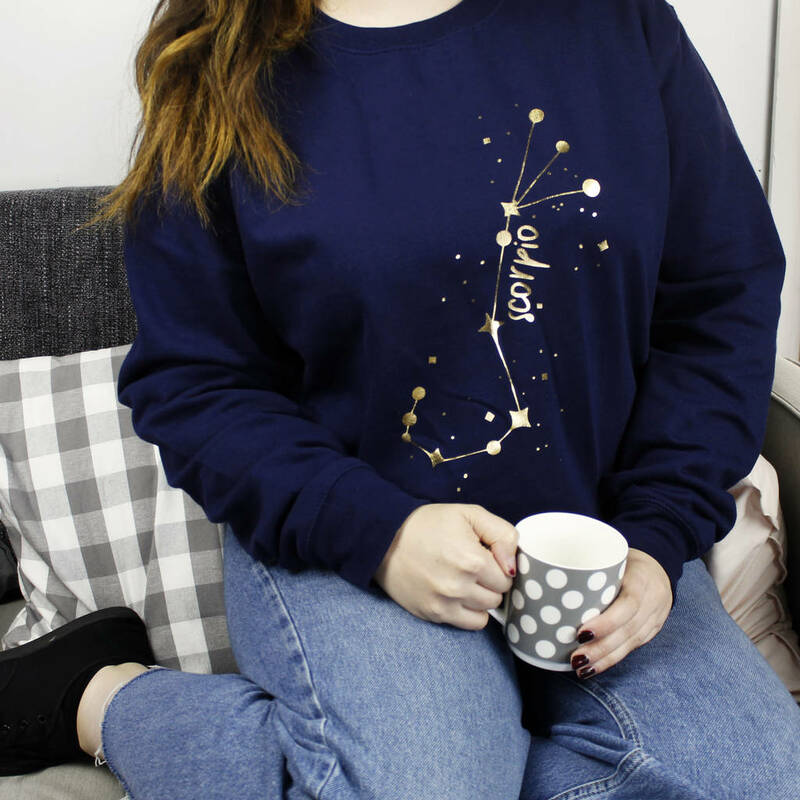 They are perfect gifts for your horoscope loving friends; the super soft lining makes the sweatshirts extra cosy, while the design and colour combination make them an ideal fashion statement paired with jeans and boots. 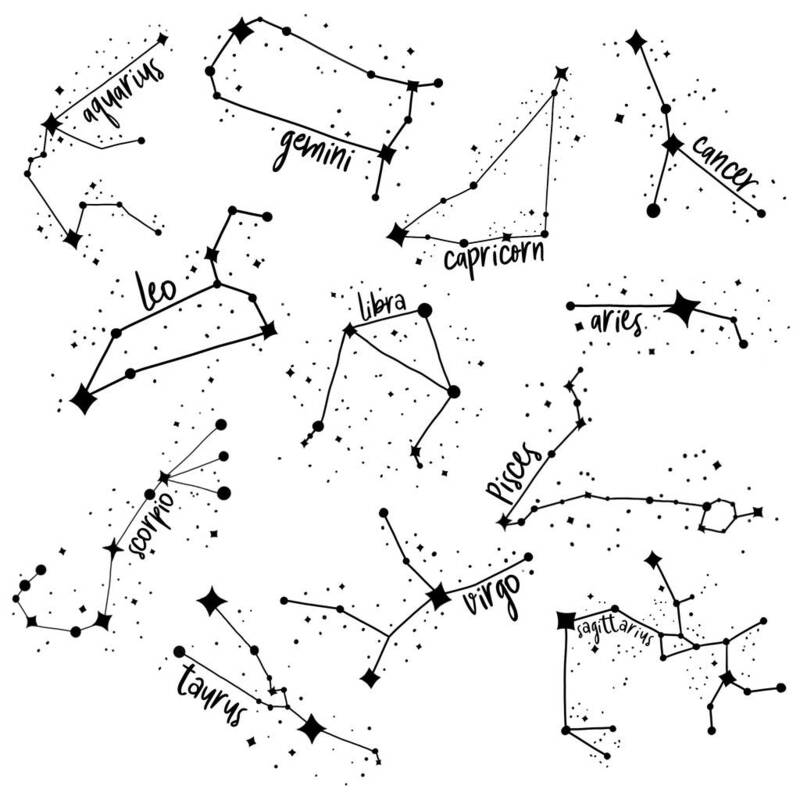 You can choose your zodiac constellation from the dropdown menu, and all 12 designs can be seen in the images. Sweatshirt is 80% Ringspun cotton, 20% Polyester. Printed with high quality tshirt vinyl, which has been heat applied to ensure it does not lift or fade. The sweatshirts are available in S, M, L, XL. 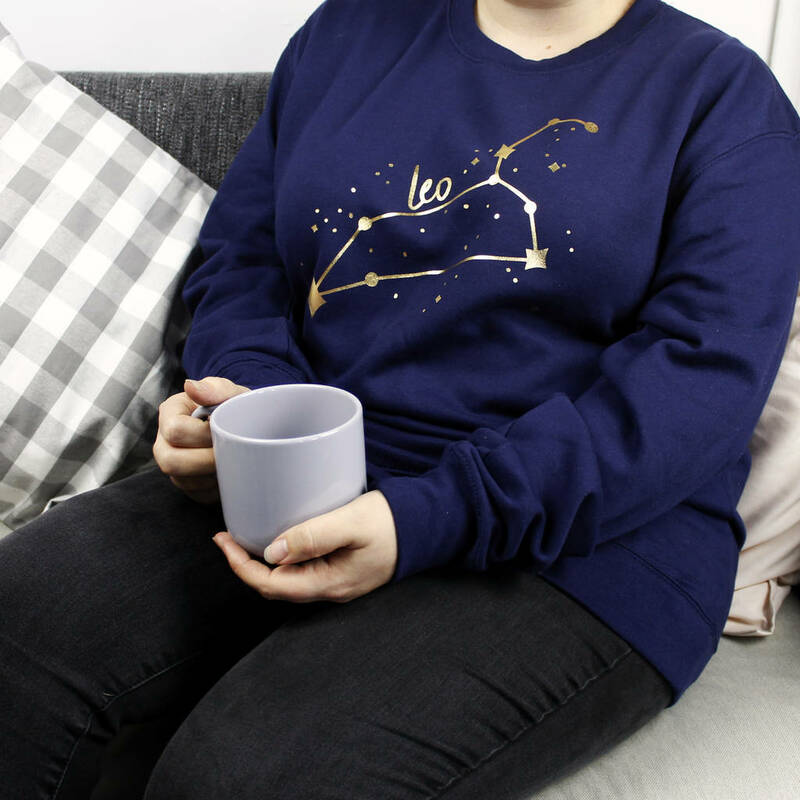 Please note these are unisex sweatshirts so are fairly loose fitting, if you'd like a tighter fit we would recommend buying a size smaller.